Nature’s Gate vegan beauty products was founded with the idea that they would use nature as their inspiration. The original founders used to collect rainwater and blend it with herbs they found in their herb shop. Today, the same philosophy goes into the making of their vegan and vegetarian beauty products, and they still use natural ingredients in each of them. Nature’s Gate vegan beauty products features an impressive eight separate lines: hair care, skin care, facial care, bath and body care, oral care, sun care, acne care and deodorant. With ingredients such as awapuhi, blue cypress extract and rose geranium, Nature’s Gate has thoughtfully included an entire ingredient glossary on their website, featuring all of the ingredients they use and why. 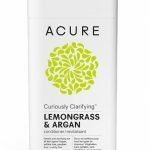 Their vegan hair care line is aimed at treating all types of hair including chemically treated, thin and damaged. 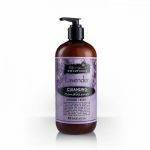 With aromatic shampoos and conditioners such as moisturizing aloe vera, mandarin orange and patchouli, lavender and aloe and tea tree and blue cypress, they have something sure to appeal to everyone. Their vegan skin care line is targeted towards hydrating skin, as well as repairing damaged skin. They have three product lines within their skin care line: hand creams, lotions and Vitamin E oils. Their hand creams are thick, oil-based products that are packed with nourishing botanicals. Their hand creams feature delicious scents such as cherry blossom, orchid and rose. Their vegan and vegetarian lotions are less heavy and perfect for all-over moisturizing needs. They even feature “Glow Lotion” which gradually enhances skin tone to give you a glow over time. Their Vitamin E roll-ons offer direct application of the skin-nourishing vitamin. These are available in 32,000 I.U. and 40,000 I.U. The Nature’s Miracle vegan beauty bath line offers products to revitalize you at the beginning of the day, and relax you at the end of it. 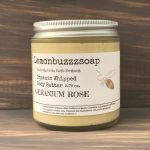 They feature bar soaps, liquid soaps and their Velvet Moisture body wash and liquid soap. 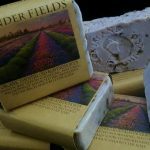 Their bar soaps are triple-milled and feature ingredients such as aloe vera, pomegranate and oatmeal. Their liquid soaps are perfect for your sink as they are effective, but gentle enough to use frequently. They feature ingredients such as asian pear, red tea and mandarin orange. Their Velvet Moisture Body Wash & Liquid Soap line features ultra-hydrating and skin-repairing ingredients such as acai, papaya and hemp. To learn more about Nature’s Gate and their bountiful line of vegan beauty products, visit their website and grab a few items!